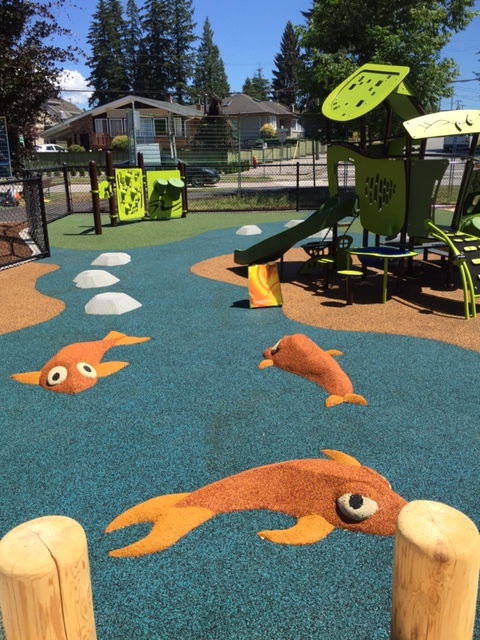 Marathon received a design request from the City of Coquitlam for fish to be incorporated into their Como Lake playground. That design request resulted in unique three dimensional rubber fish with animated expressions cresting the blue pour in place rubber surfacing. These design oriented mounds add a third dimension to the playground surface.